Monitor the end-to-end user experience though the multiple steps typically followed by a user as they complete a transaction (e.g. login to site, retrieve item from database, add to shopping cart, check out). Makes it easy to set up complex multi-step watch items. Simply turn on the recorder, execute the desired steps (i.e. 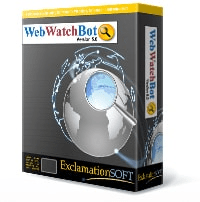 go to a website, log in, search a product catalog and checkout) and WebWatchBot automatically recreates the exact sequence followed into a new transaction watch item.